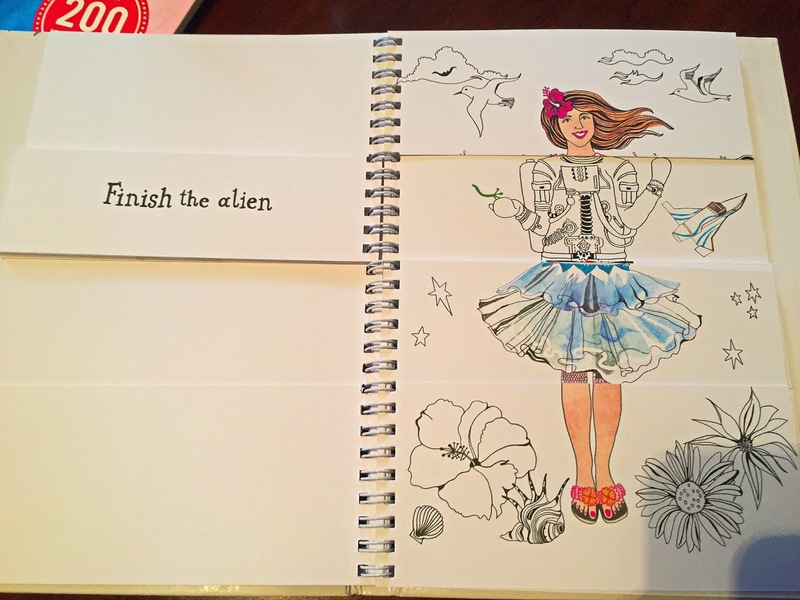 It's a doodle book with a difference! 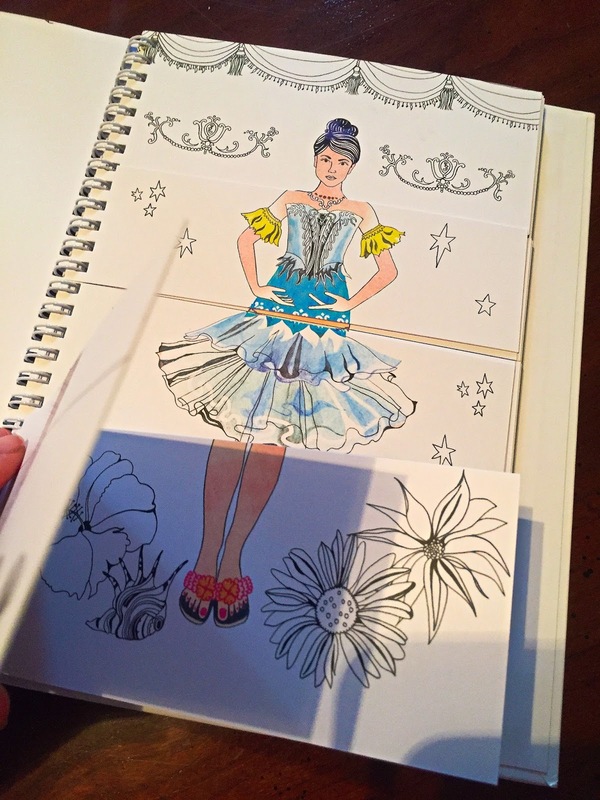 Color in and complete your own great dress-up outfits, then flip the page sections to mix and match your creations. Fabulous doodling and coloring dress-up fun for age 3+, from fantastic illustrator Hennie Haworth. Hennie Haworth is a freelance illustrator who lives and works in London. She studied illustration at Brighton University. She illustrates widely for books, editorial and advertising. Her clients include Elle magazine, New Statesman, The Guardian, Company, Time Out, Bloomsbury Publishing and Penguin Books. 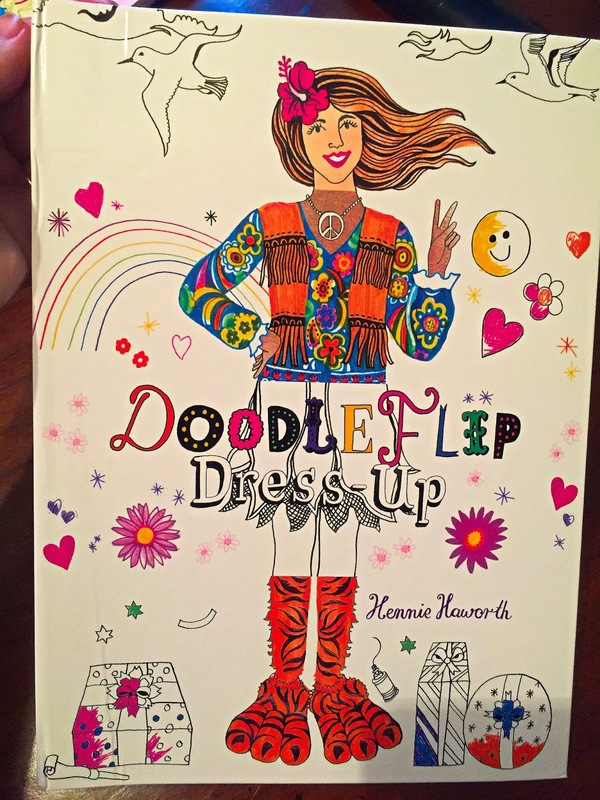 My daughter loves art and she loves fashion so this book is a win/win. I will be putting this in her stocking so I didn't have her draw anything. Shhhh...Santa is good. 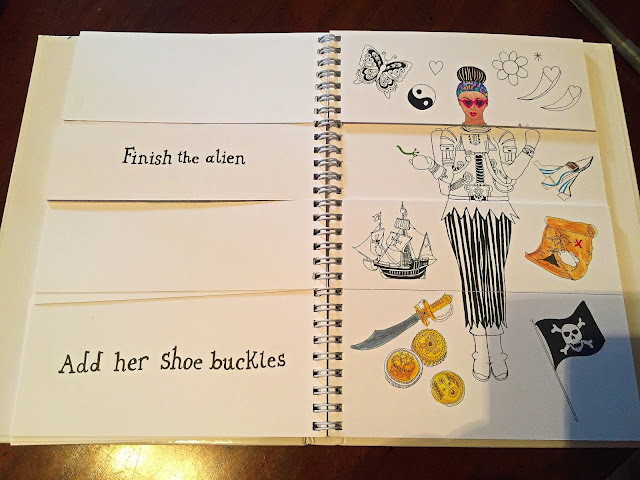 What I love about the book is there is so much to do. 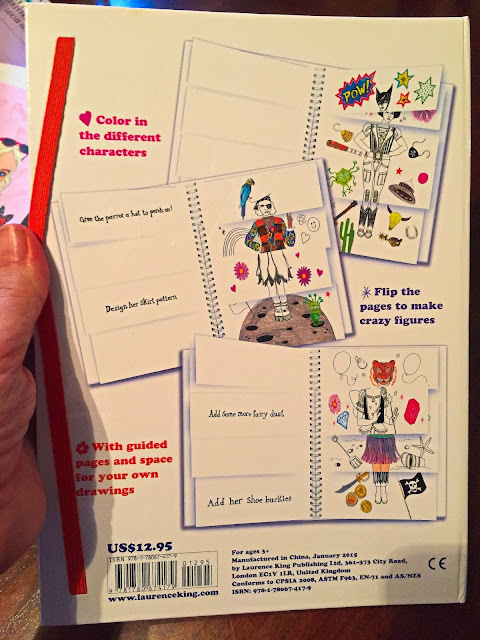 You can flip all sections of the model to have very different, fun, freaky, odd, weird, outfits AND you can even add to the outfits, draw your own, color them and on the opposite page you get little activity suggestions. This is such a fun idea and I even love it for myself. 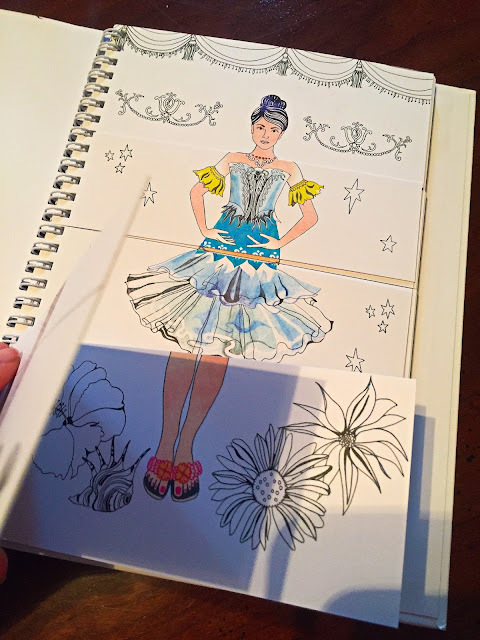 I can't wait to work on this with her and see what she comes up with after all she is the artist.